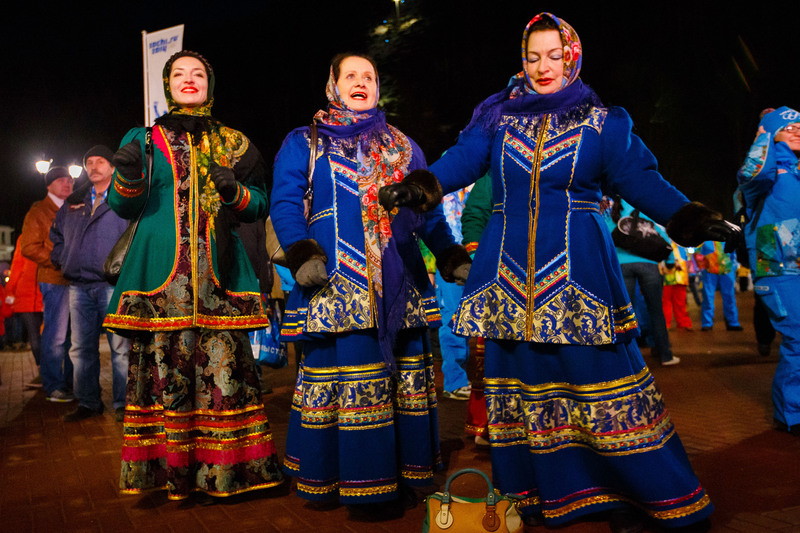 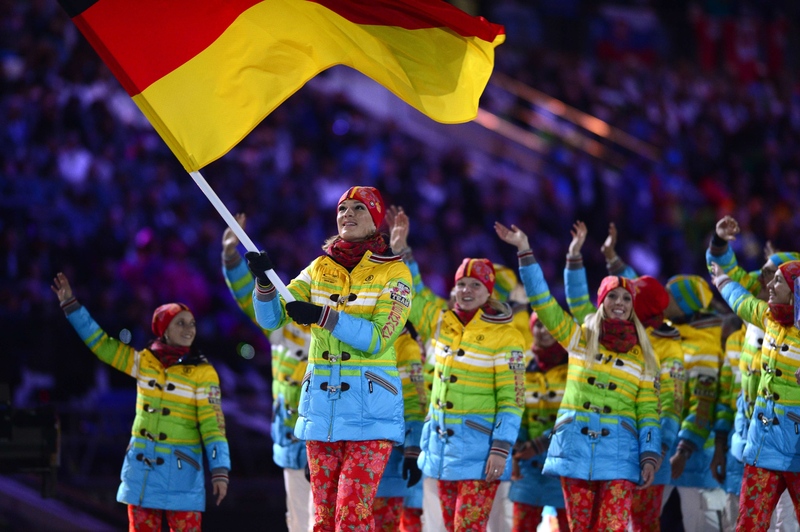 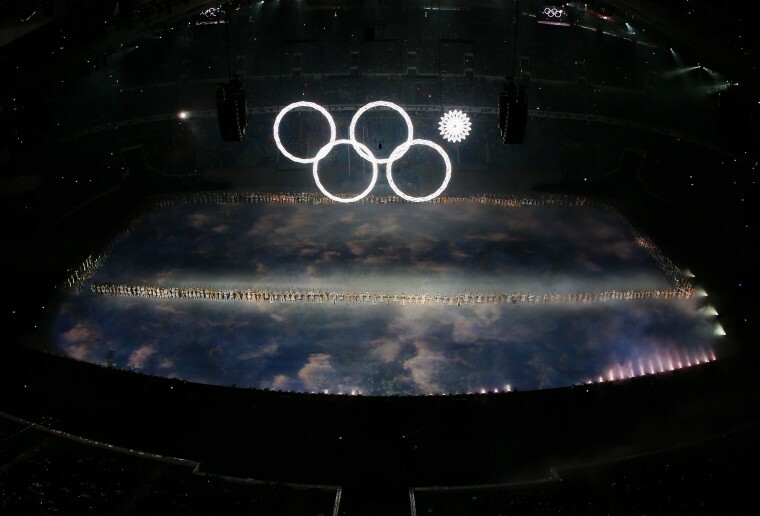 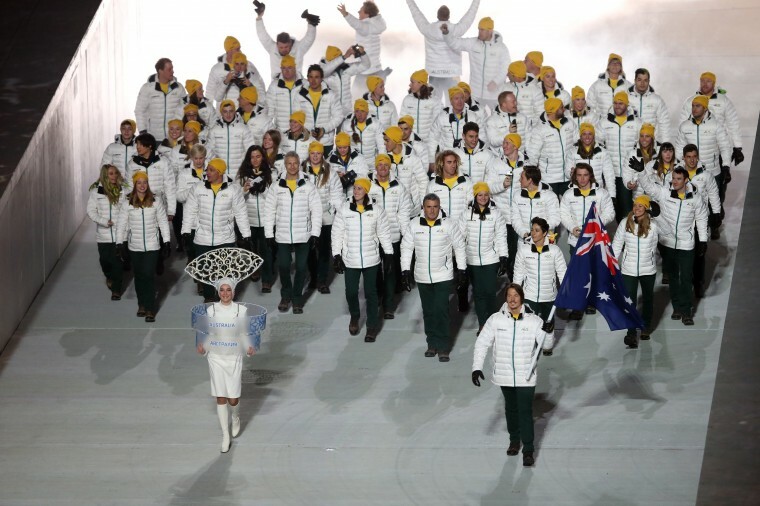 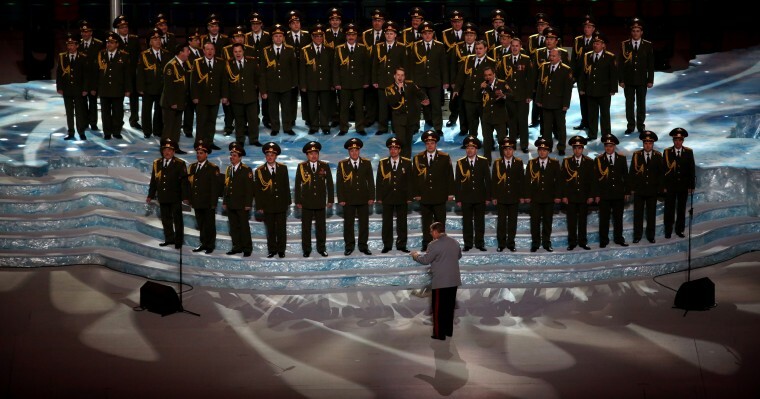 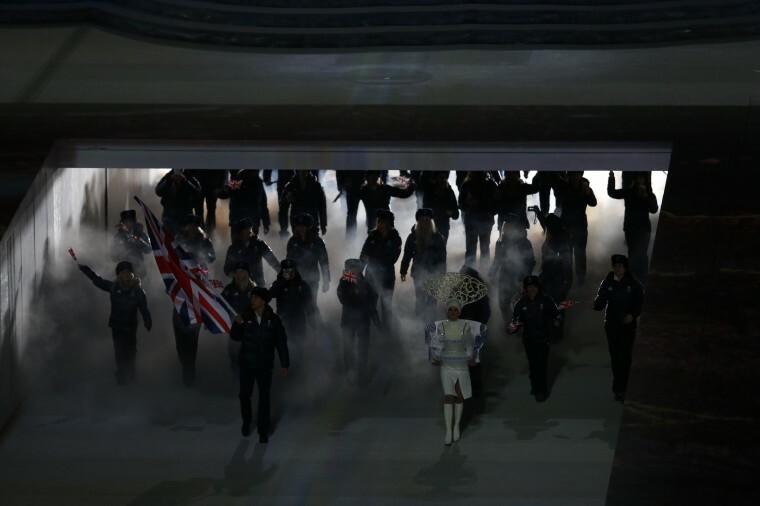 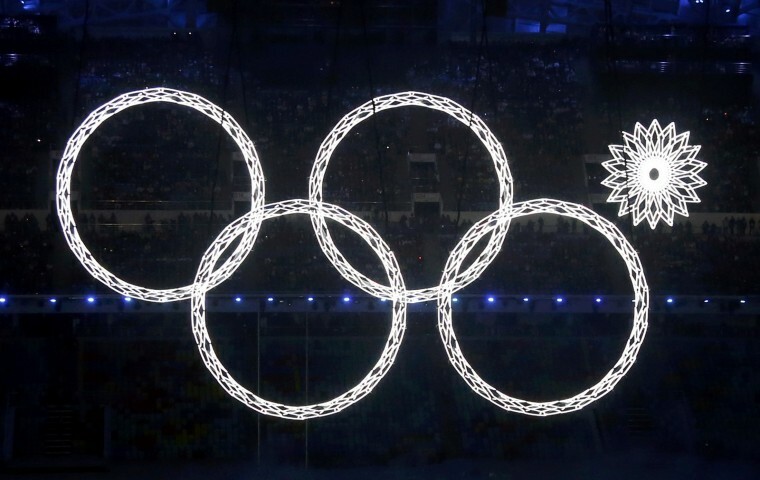 The 2014 Winter Games got off to a shaky start on Friday when one of the five Olympic rings failed to open at the start of the opening ceremony, meaning the symbol could not be illuminated with fireworks as planned. 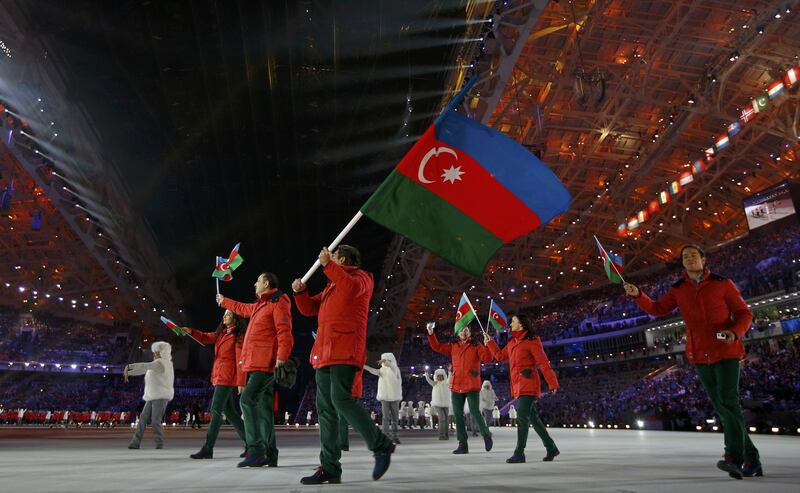 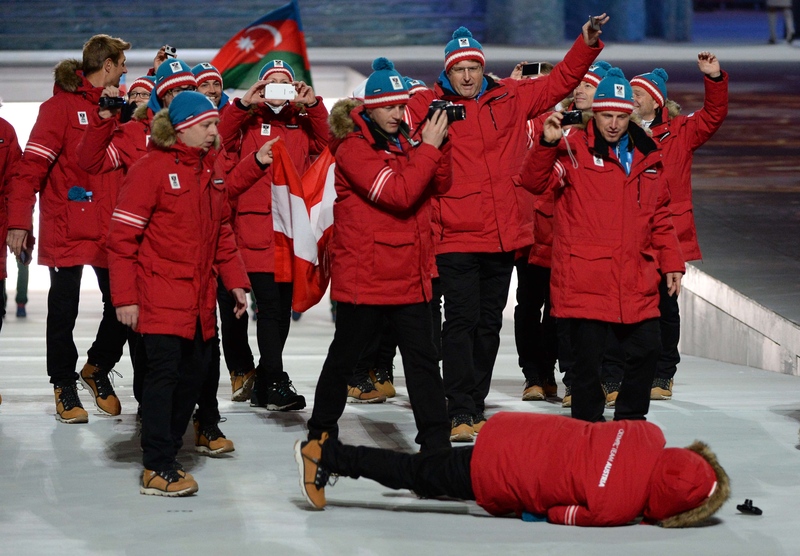 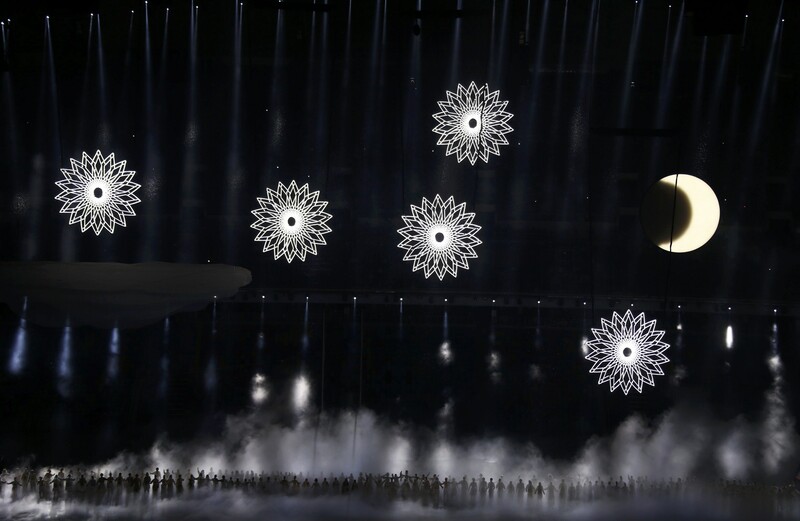 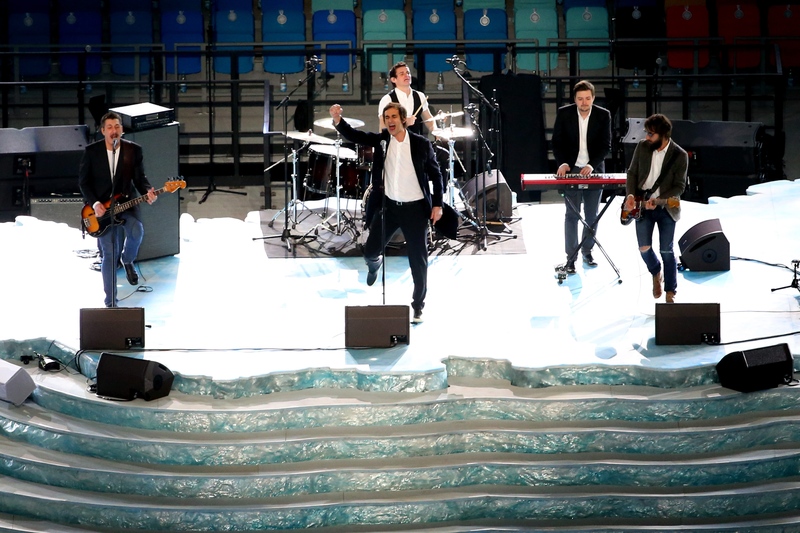 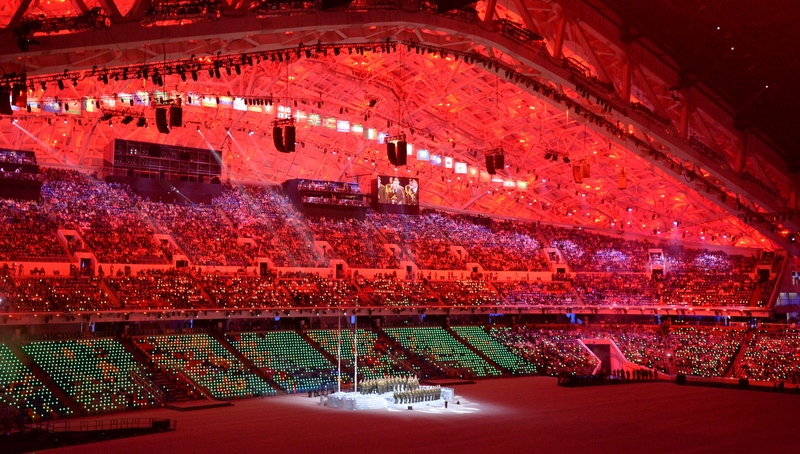 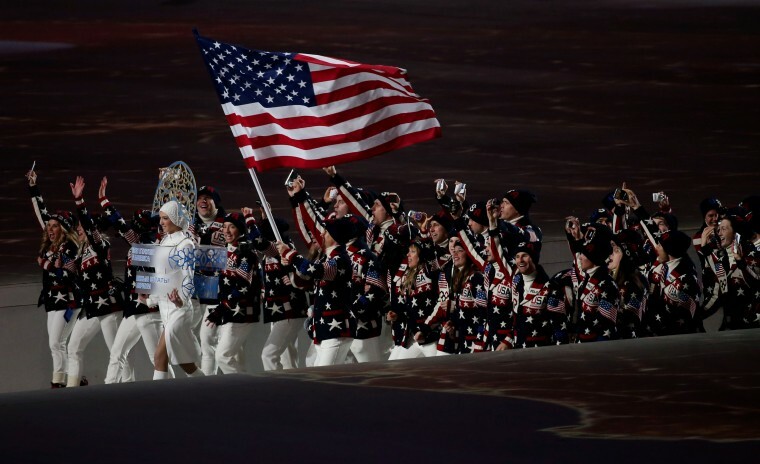 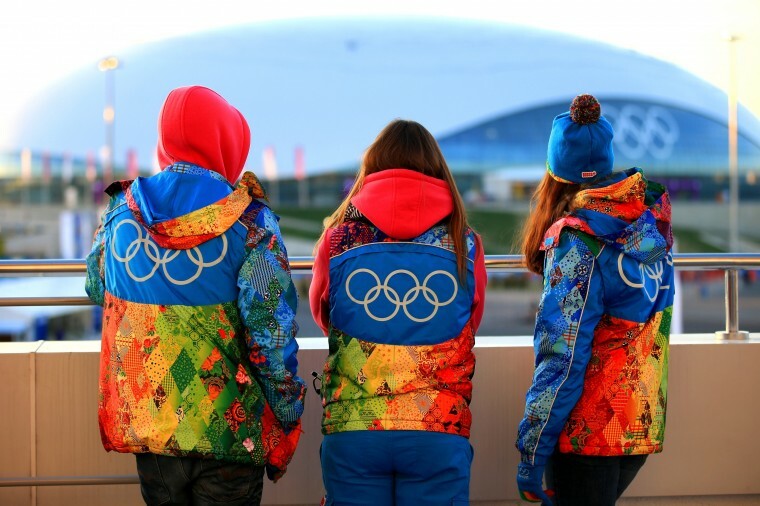 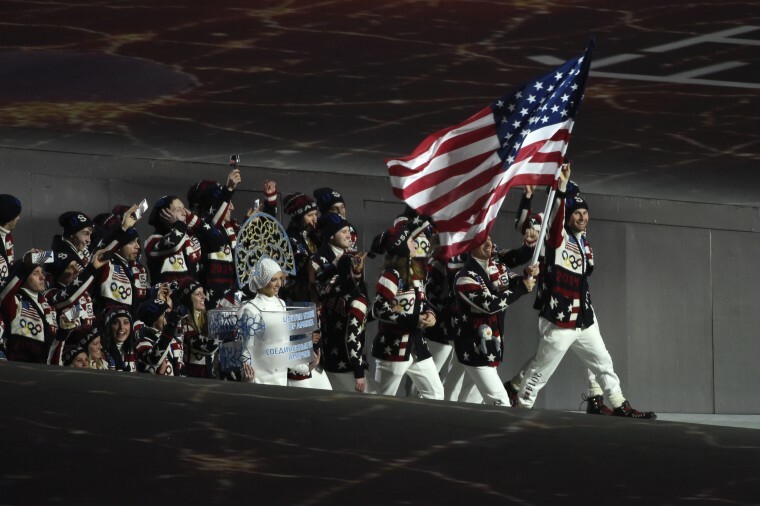 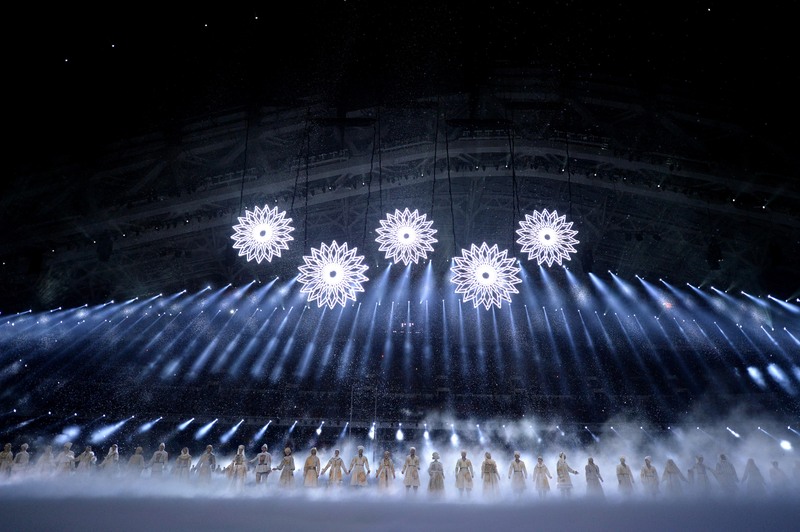 In what appeared to be a technical glitch, five giant snowflake-shaped structures suspended from the roof of the 40,000-capacity Fisht Stadium in Sochi failed to unfurl into a circle, and the sequence had to be abandoned. 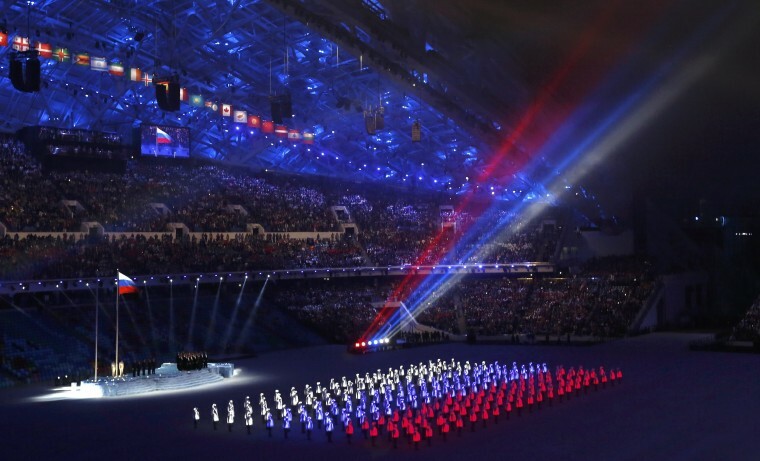 The show went on with no further interruptions, and cosmonaut Sergei Krikalev, who has spent more days in space than anyone, hoisted the Russian flag as performers dressed in glowing red, blue and white lights formed a living flag. 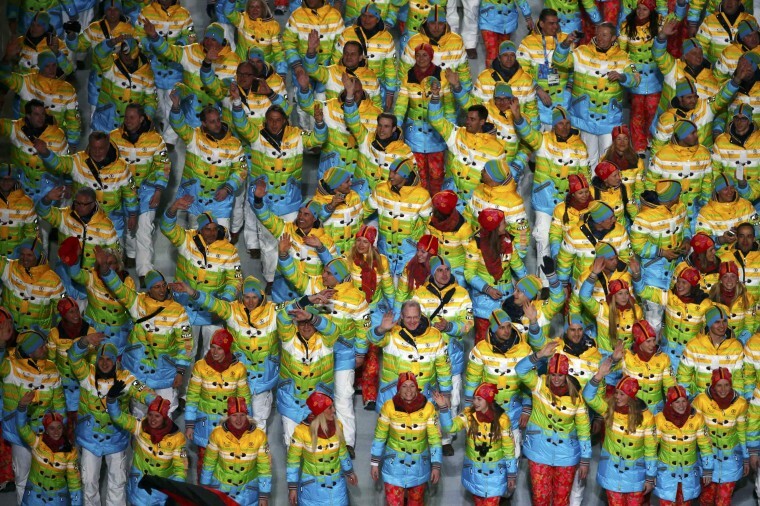 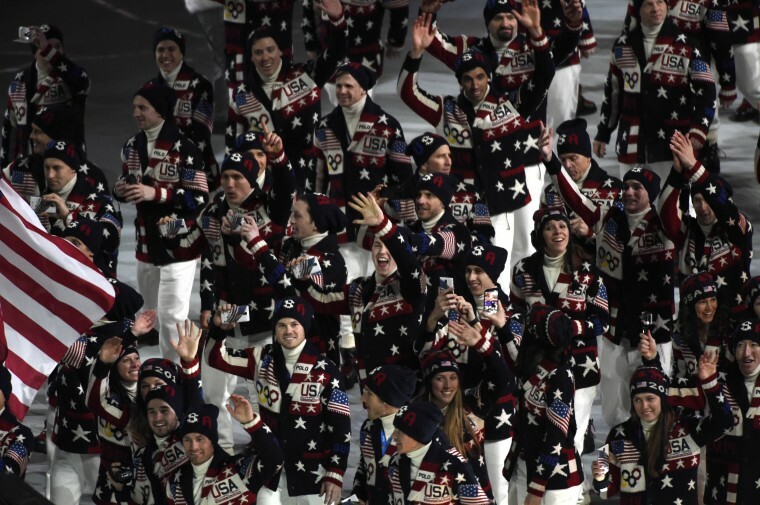 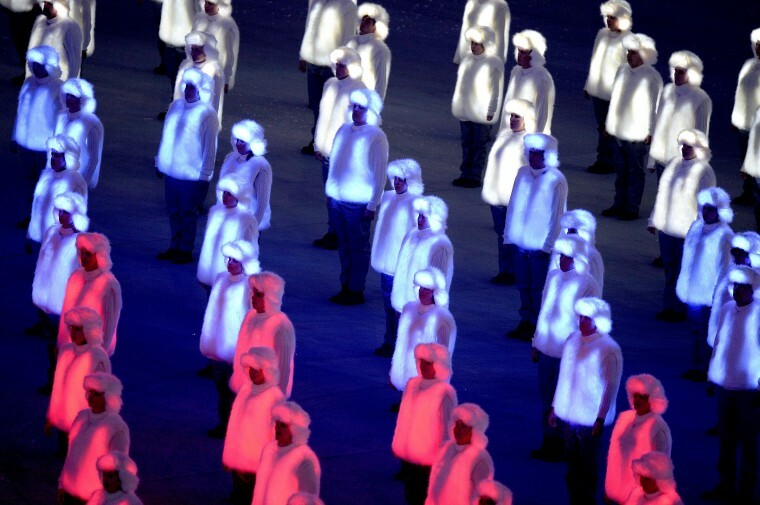 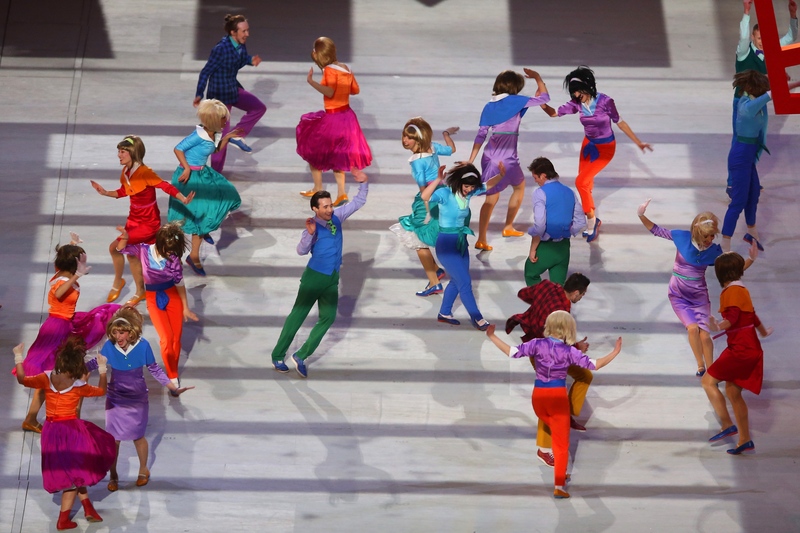 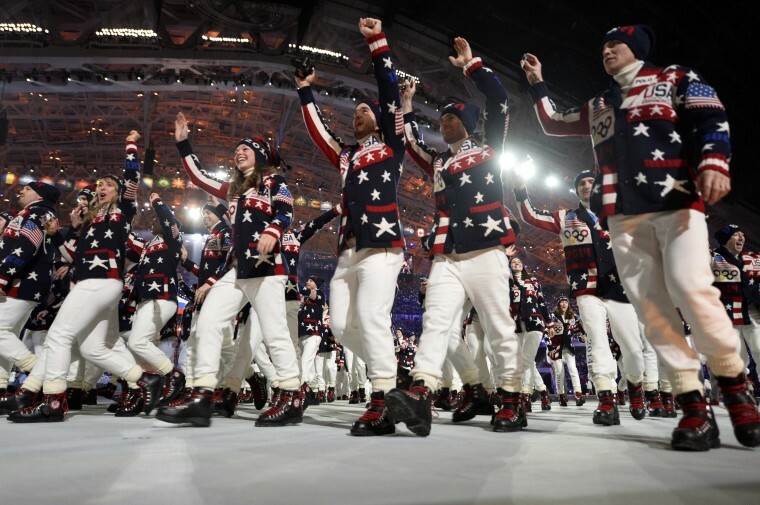 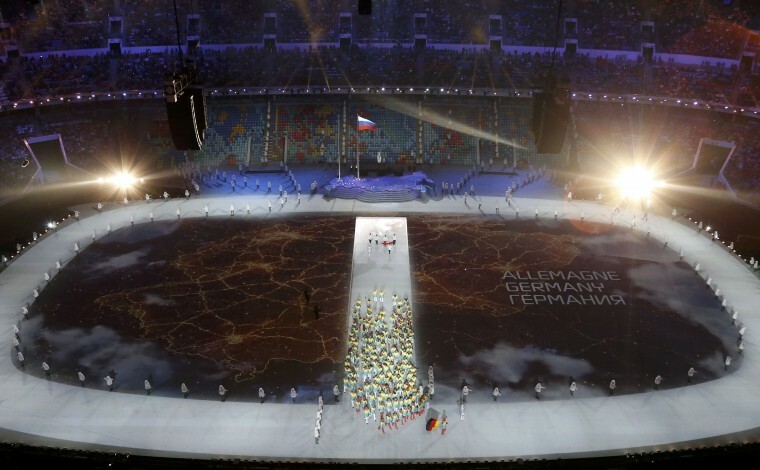 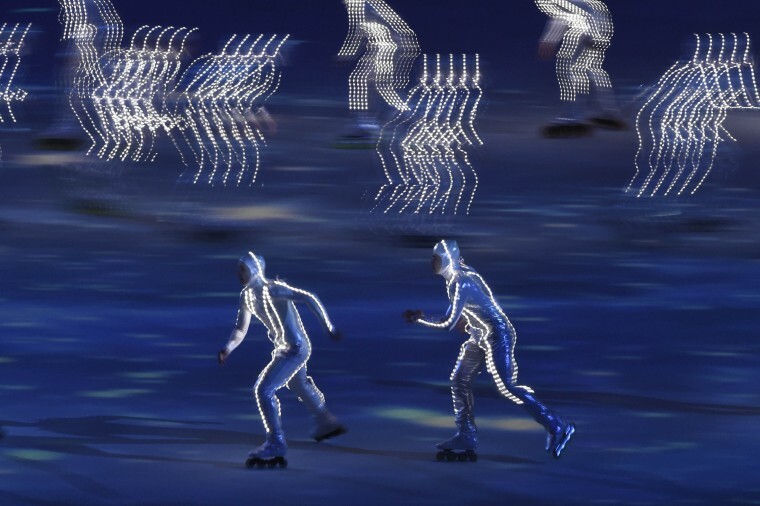 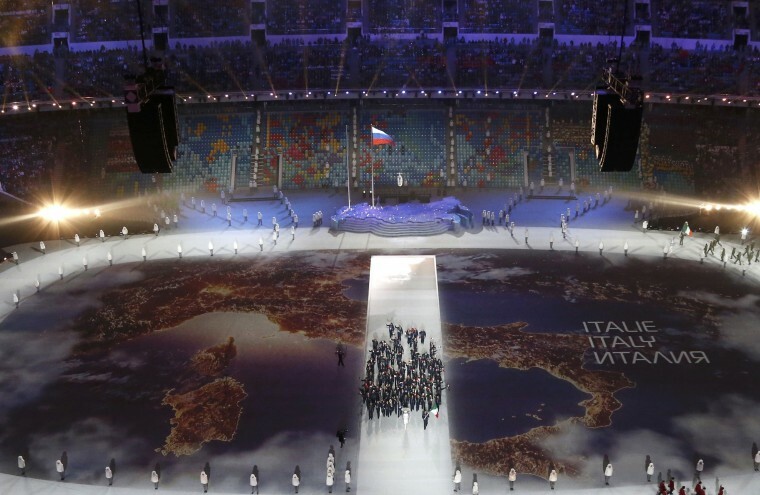 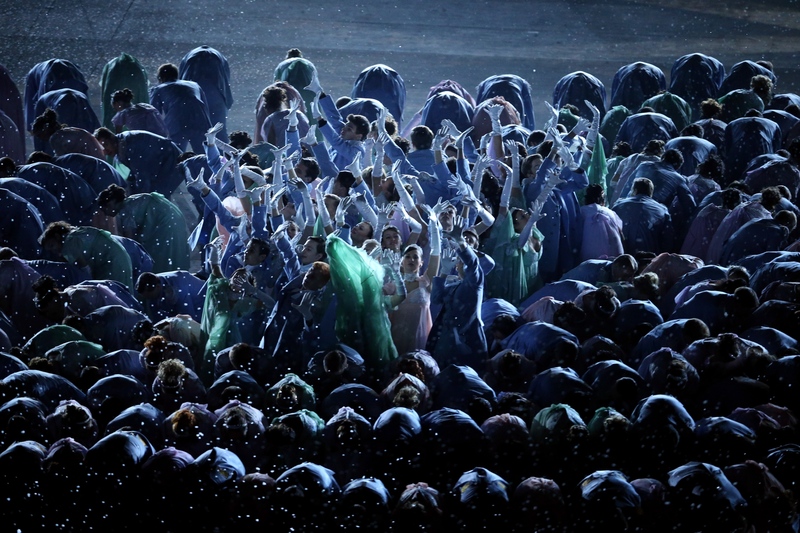 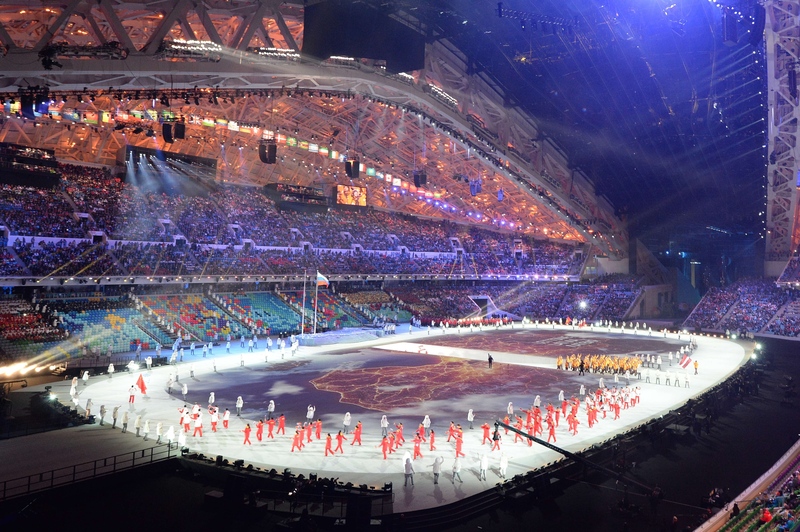 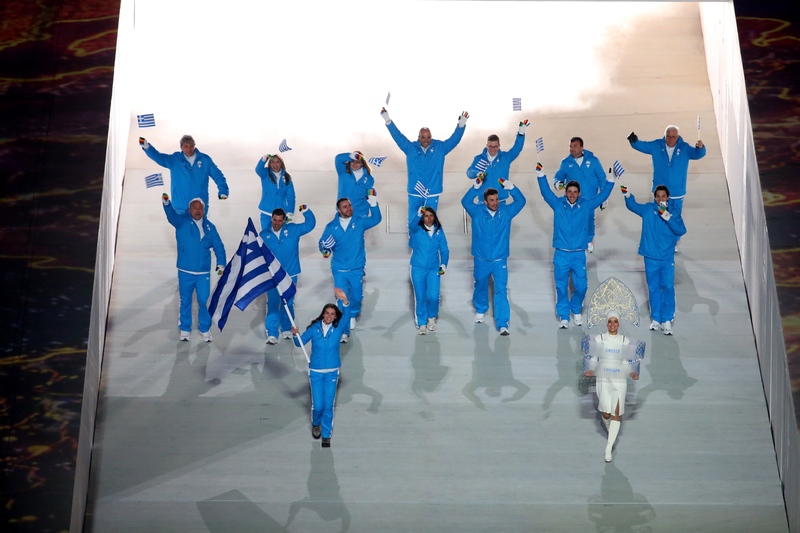 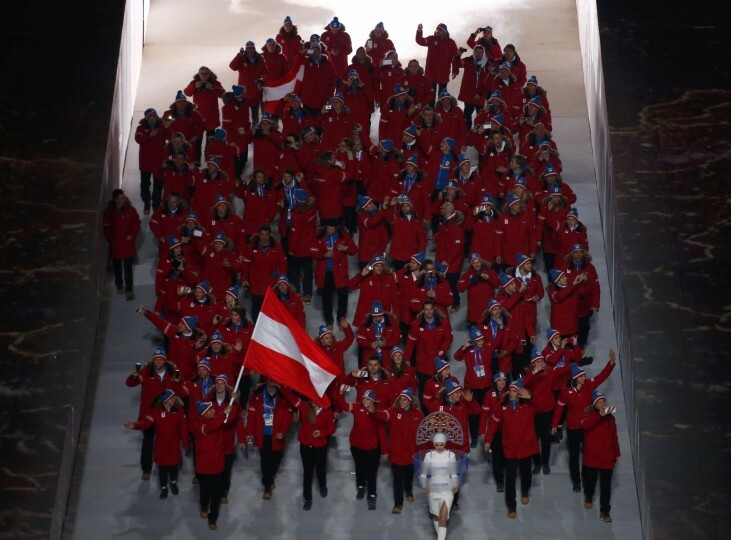 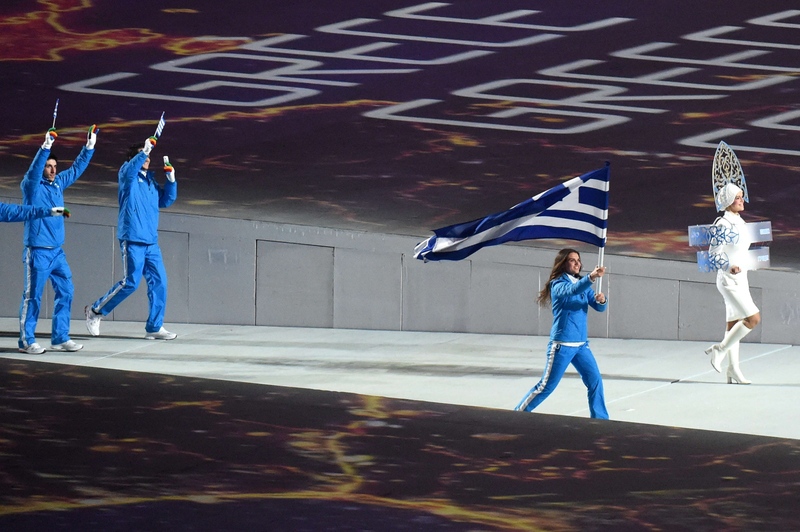 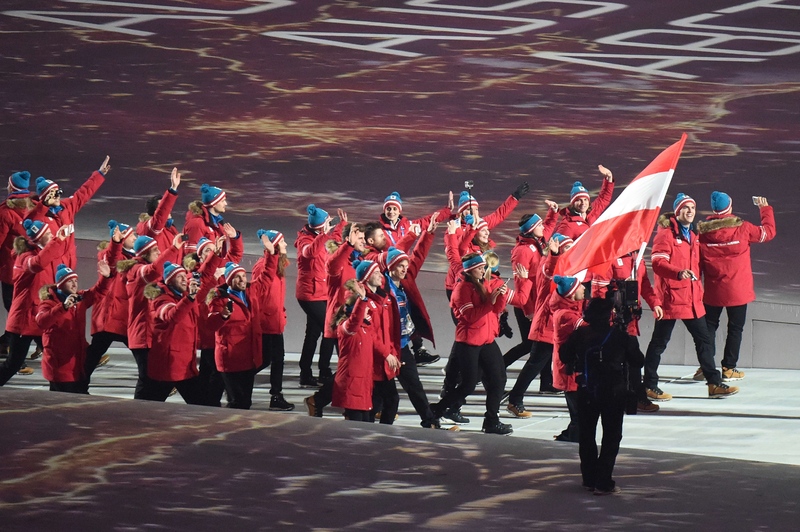 Athletes emerged from beneath the stage up a ramp for the traditional parade, and a giant satellite image of each nation taken from space was projected onto the floor. 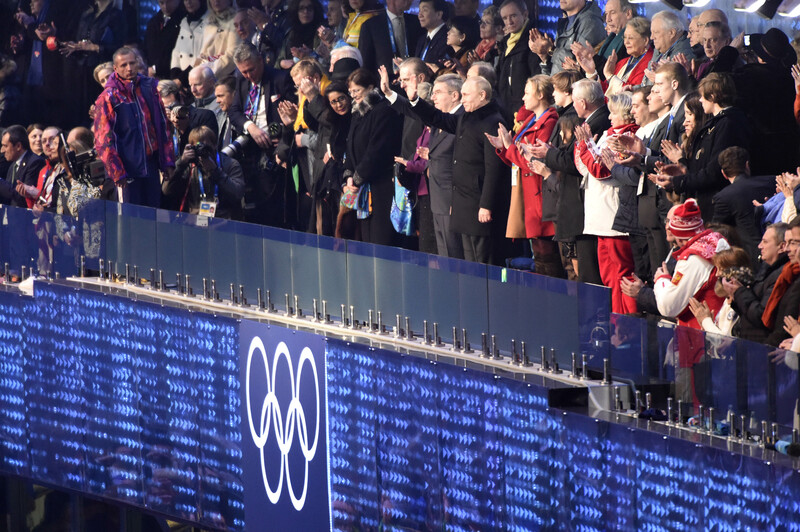 The crowd cheered them around the track, and light boxes on seats in the stands created a dazzling visual backdrop. 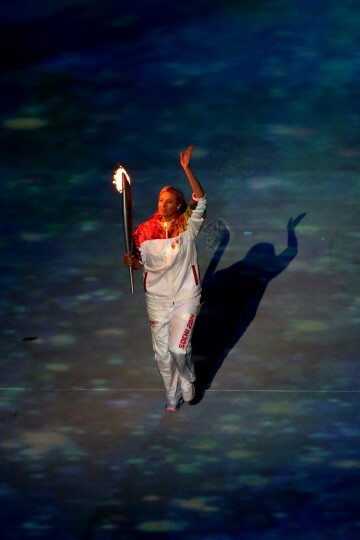 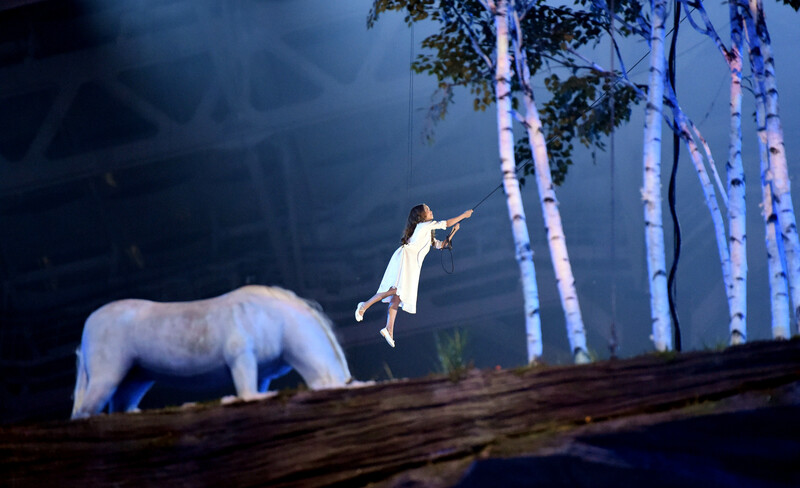 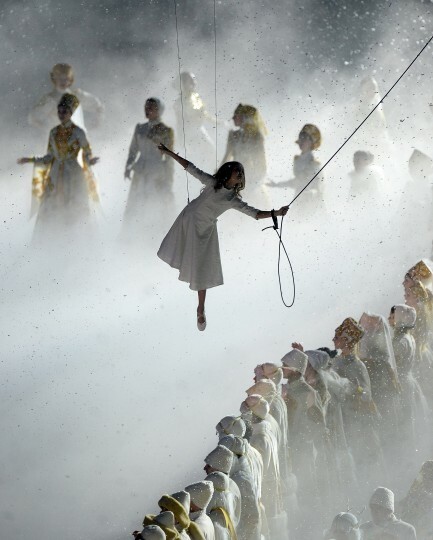 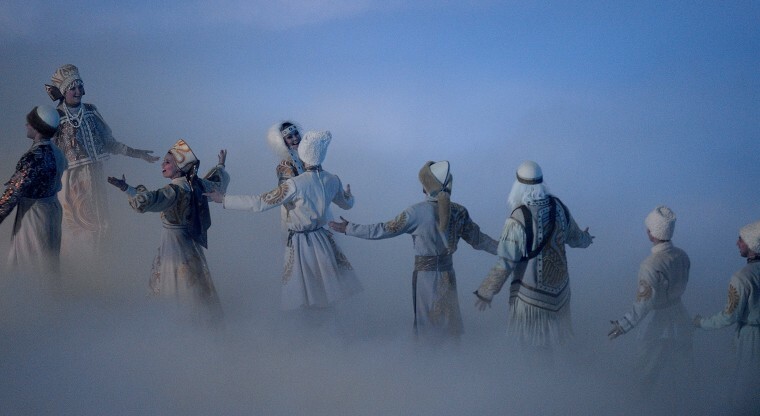 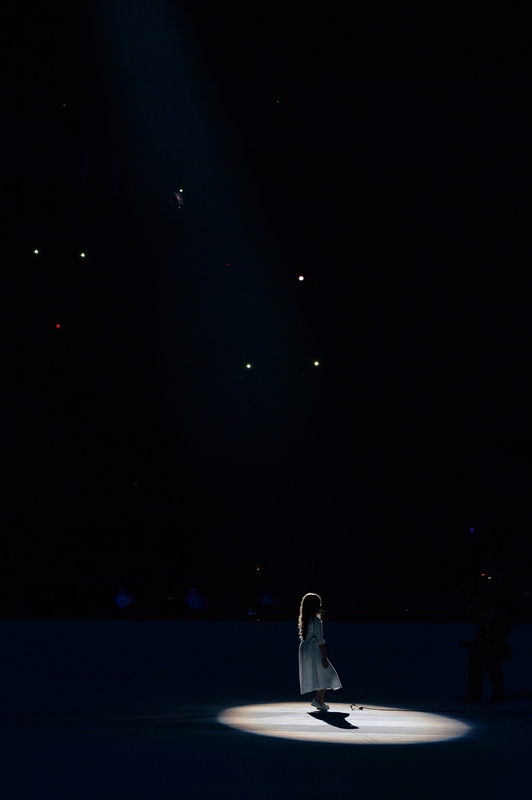 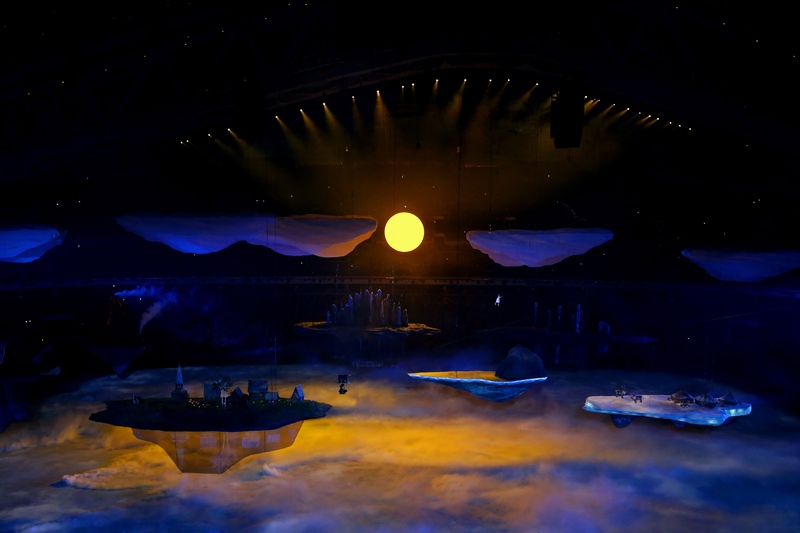 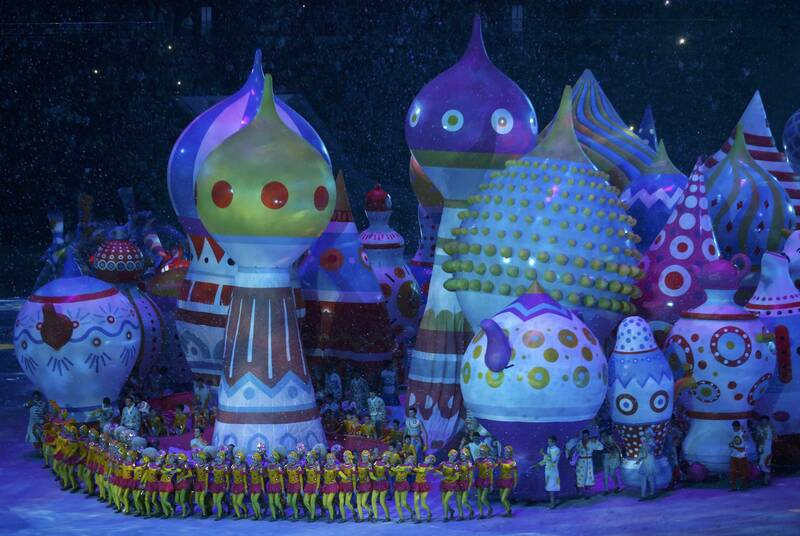 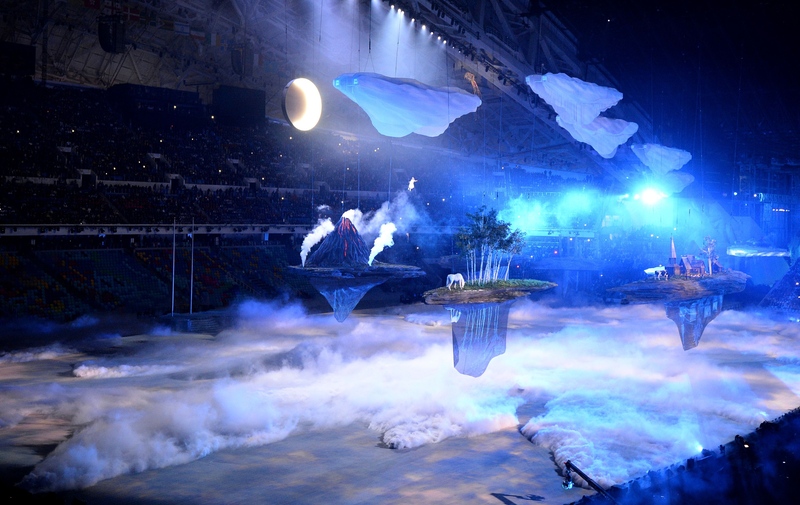 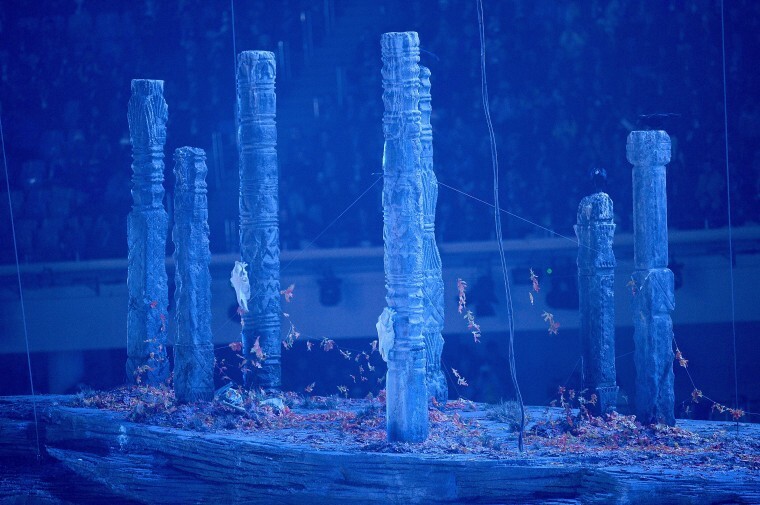 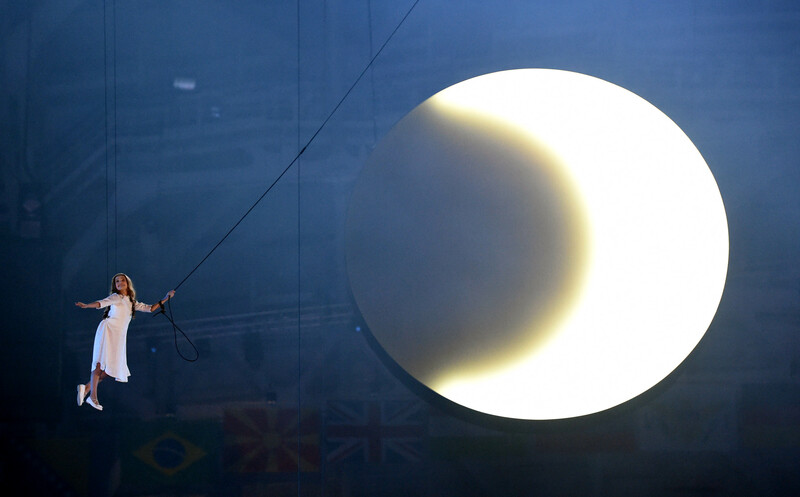 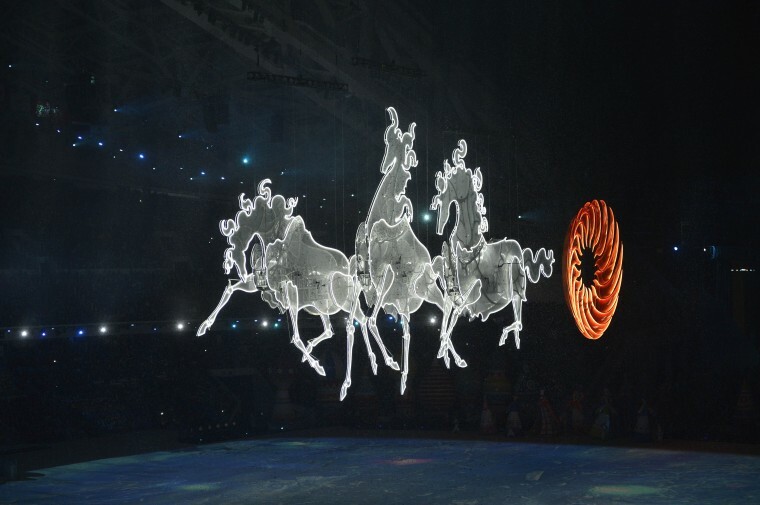 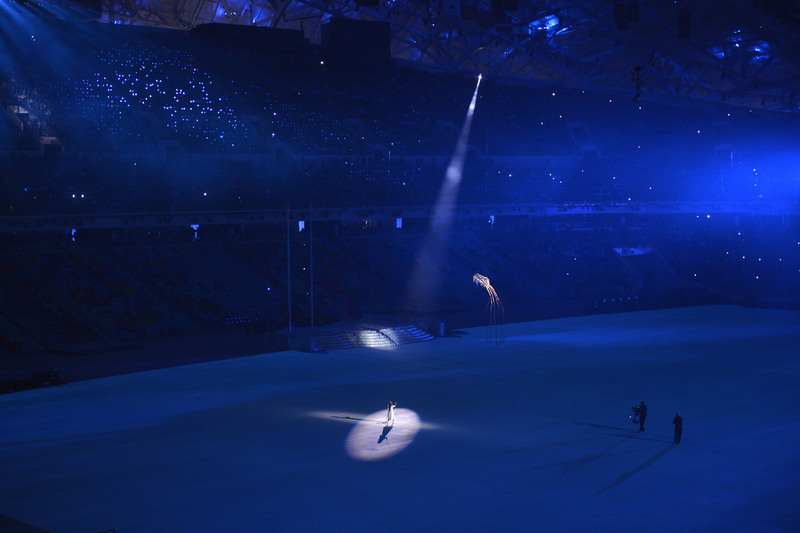 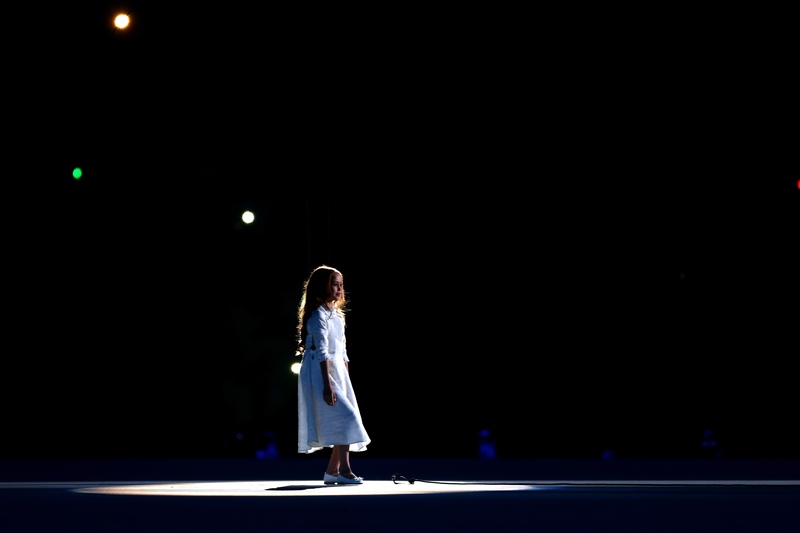 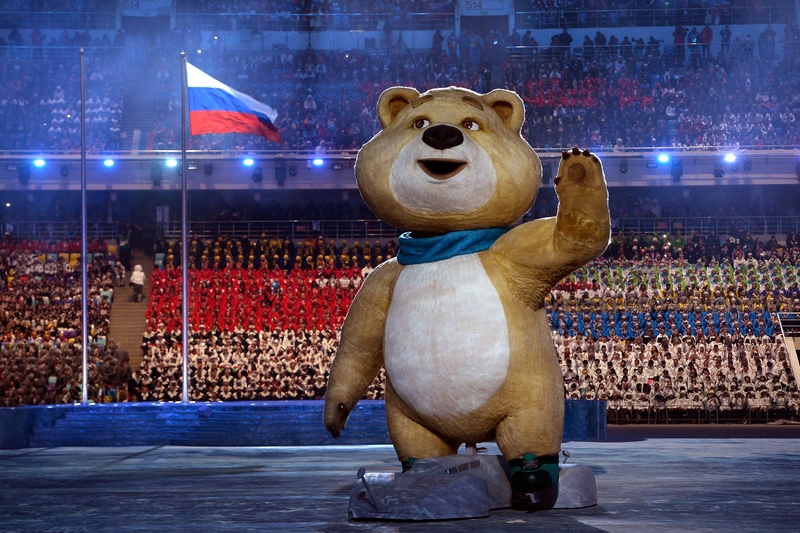 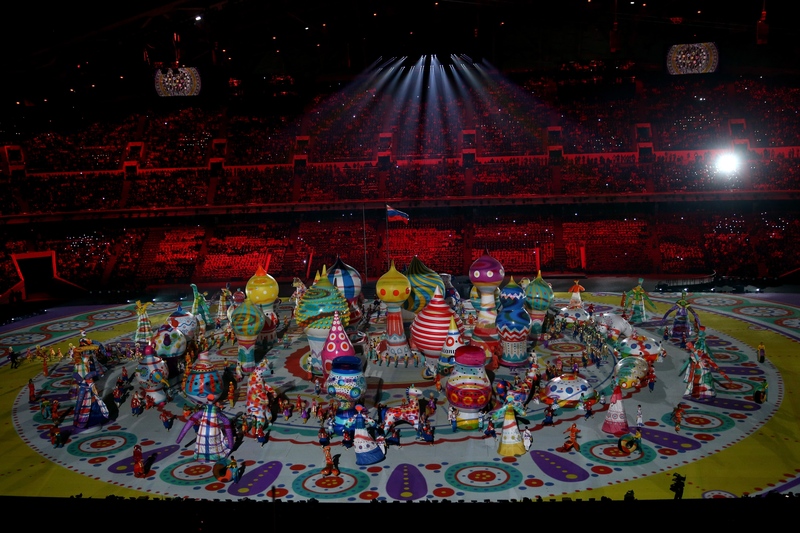 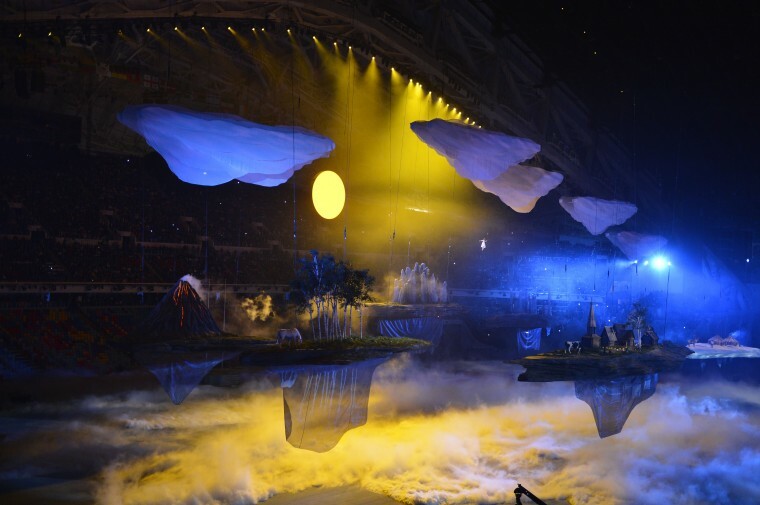 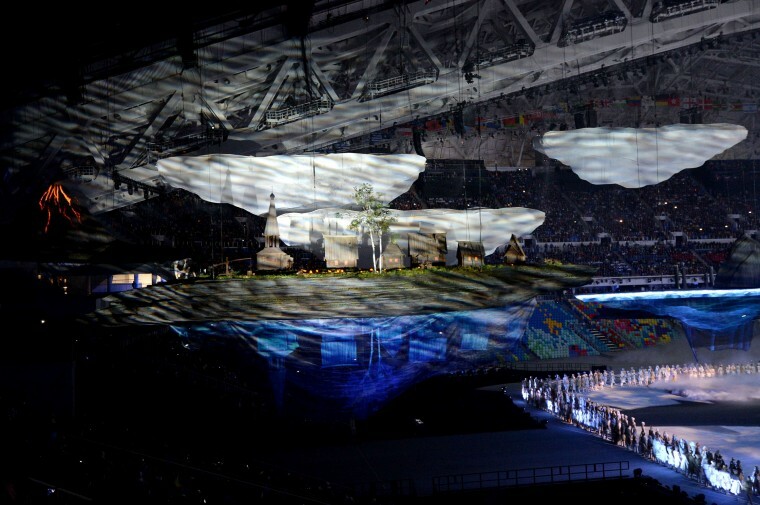 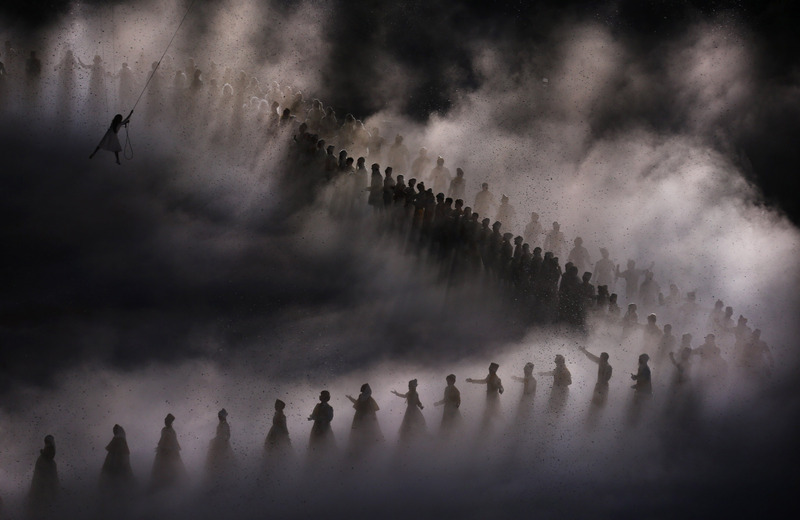 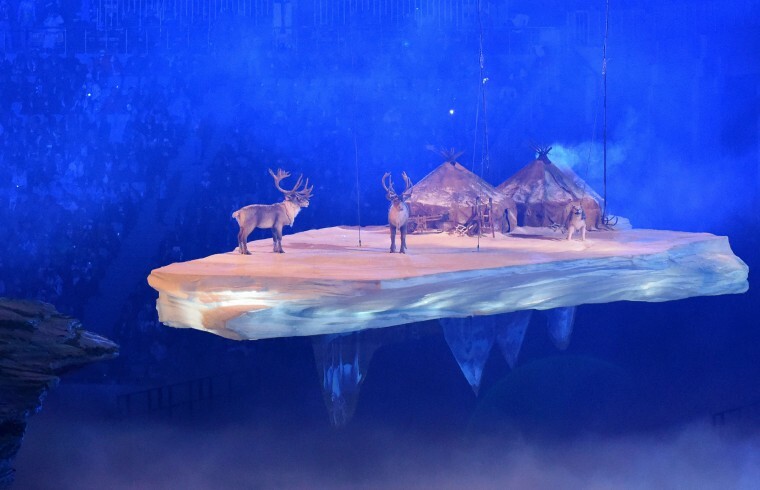 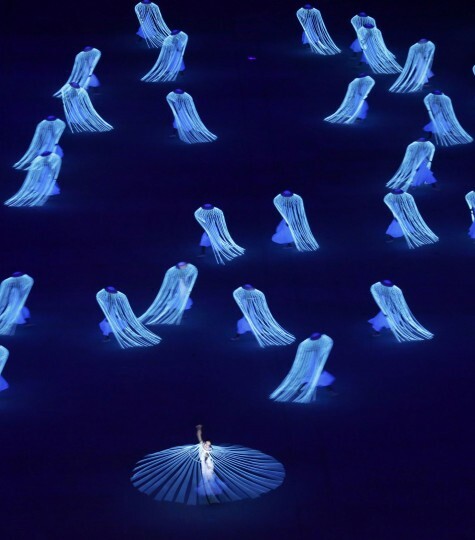 Before the symbol hiccup, a young girl in white dress soared into the air, lifted by a harness, and sang as islands representing different parts of Russia with folktale scenes drifted dreamlike across the stadium. 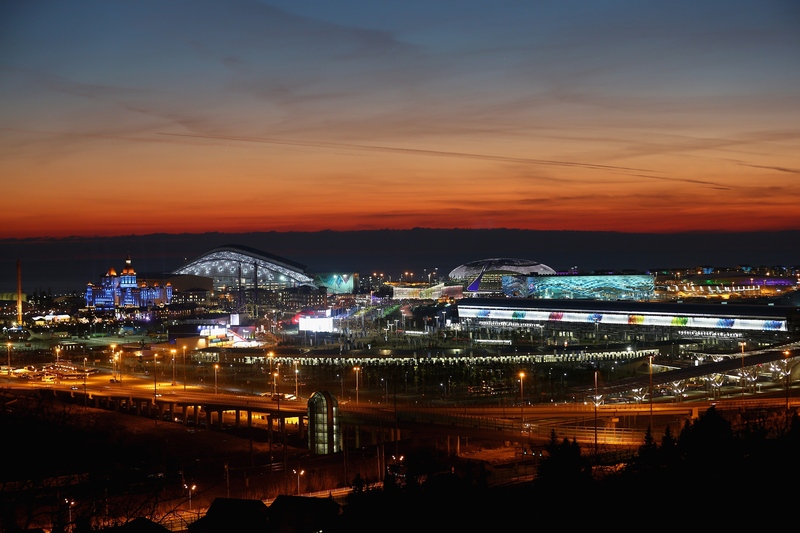 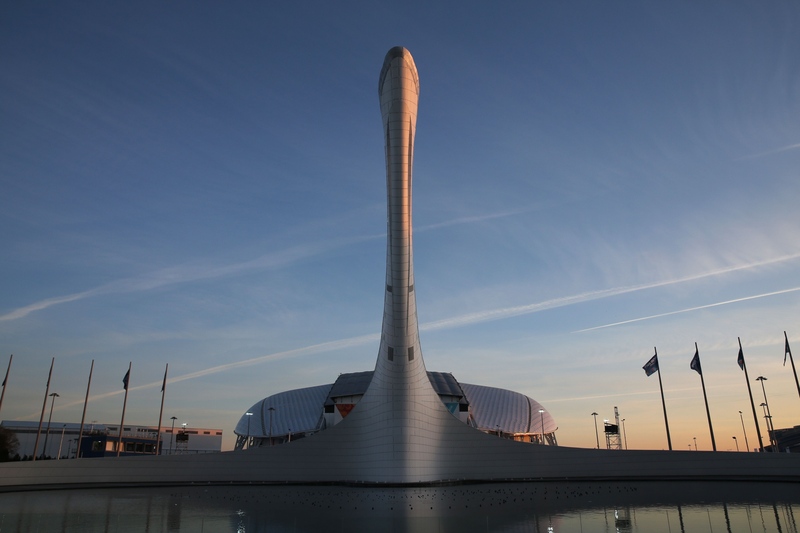 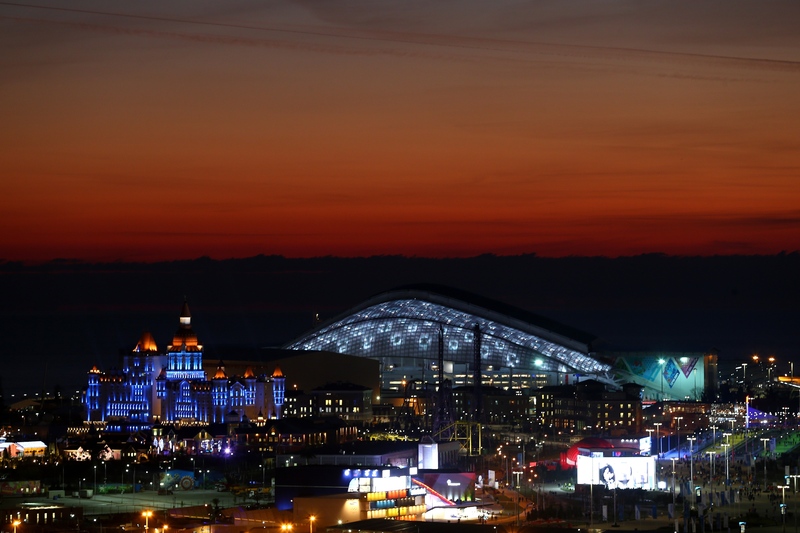 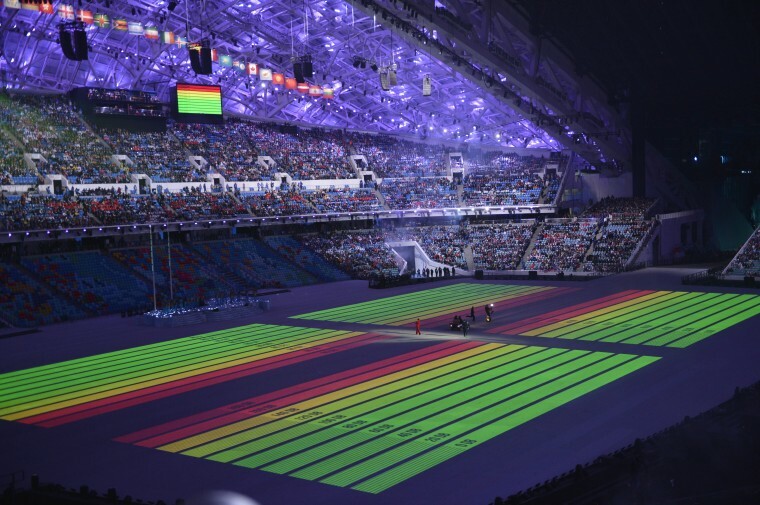 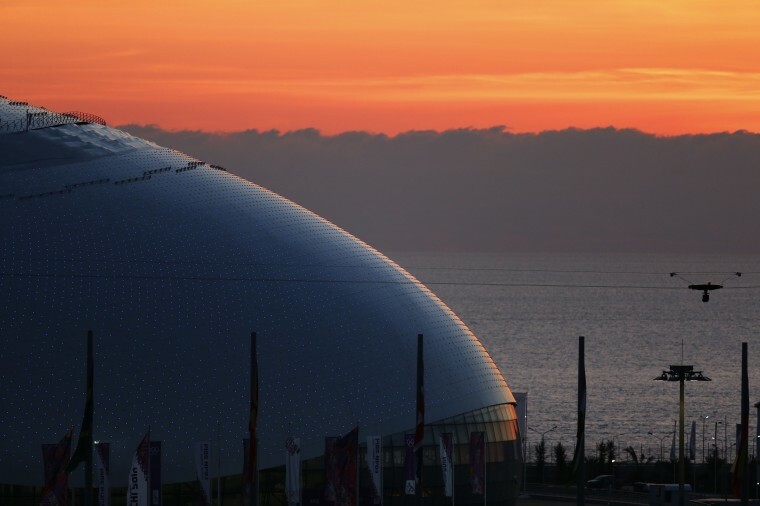 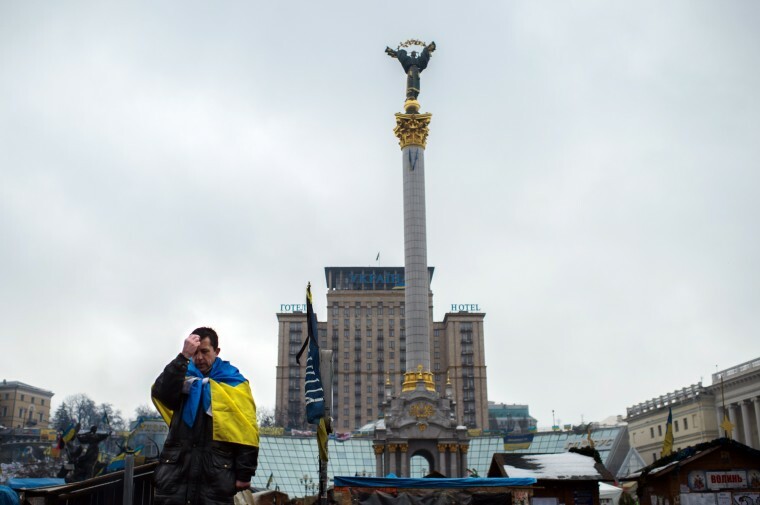 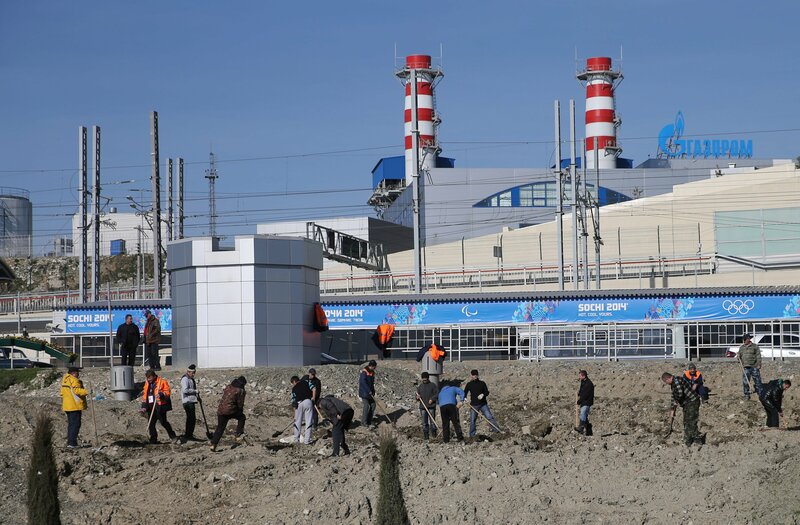 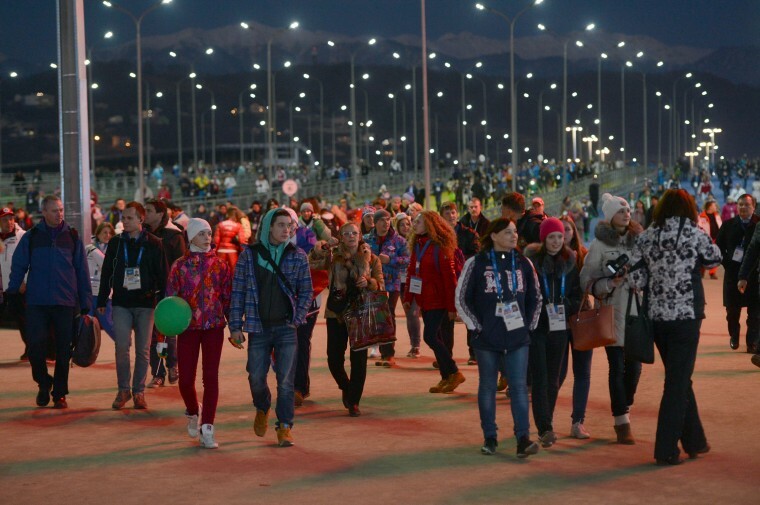 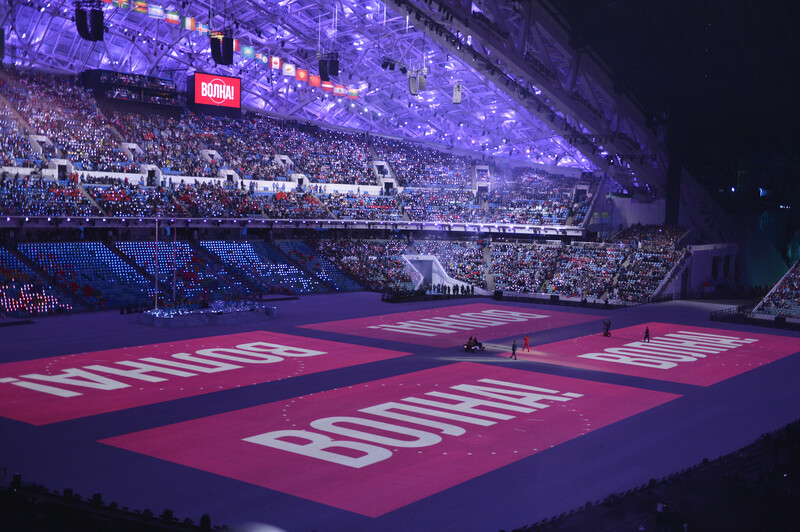 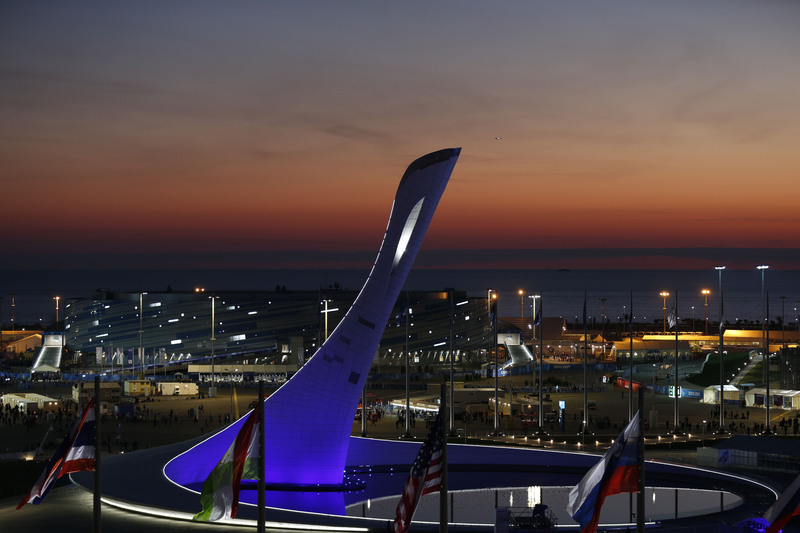 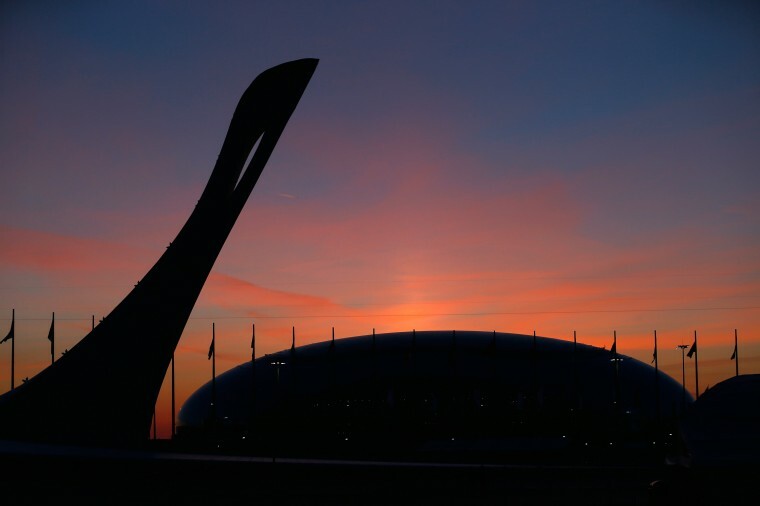 The spectacular, officially launching the Feb. 7-23 Games, began at 2014 local time (1614 GMT), and minutes later a burst of fireworks lit up the clear night sky outside the gleaming new stadium located on the shores of the Black Sea. 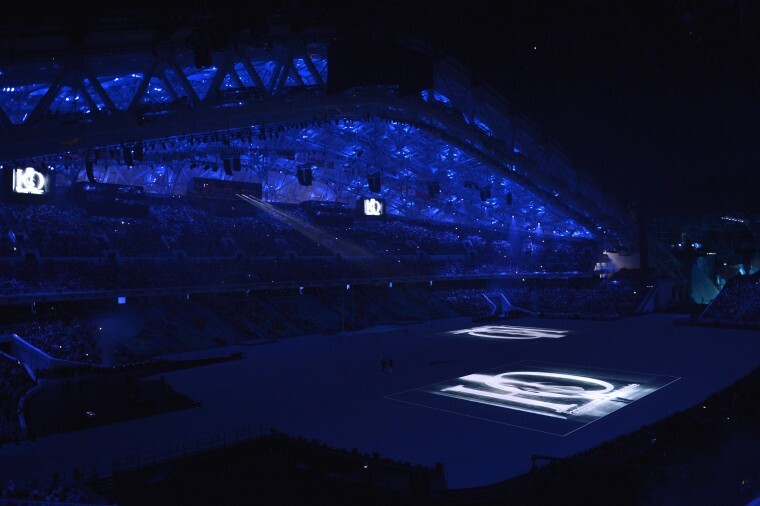 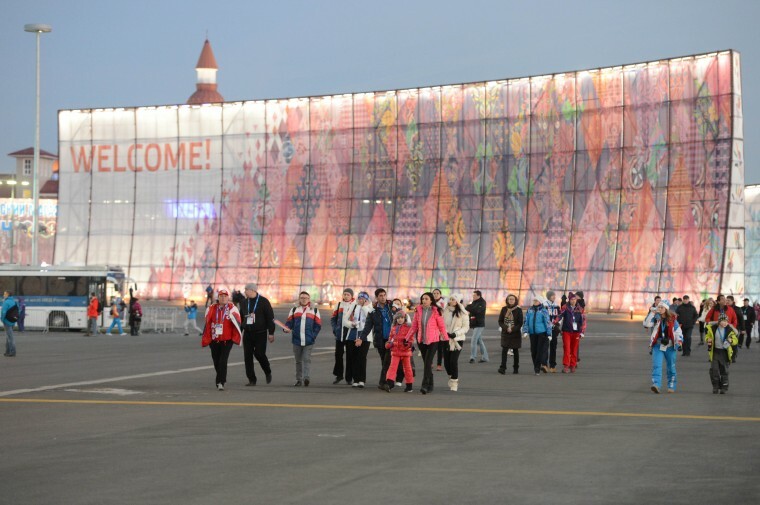 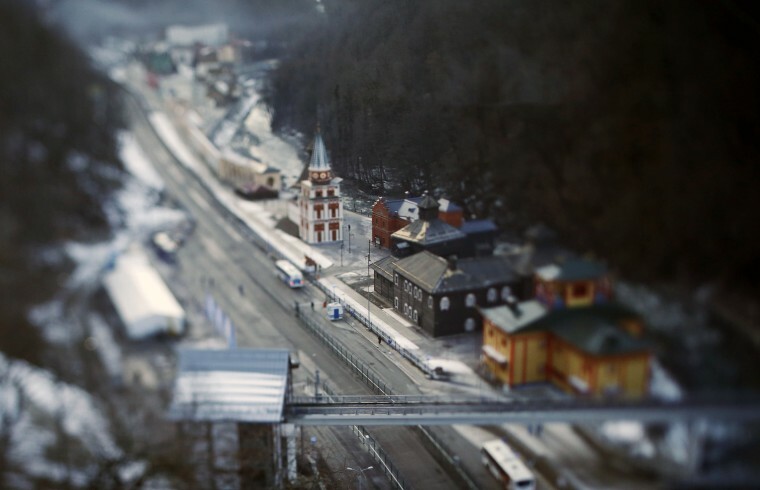 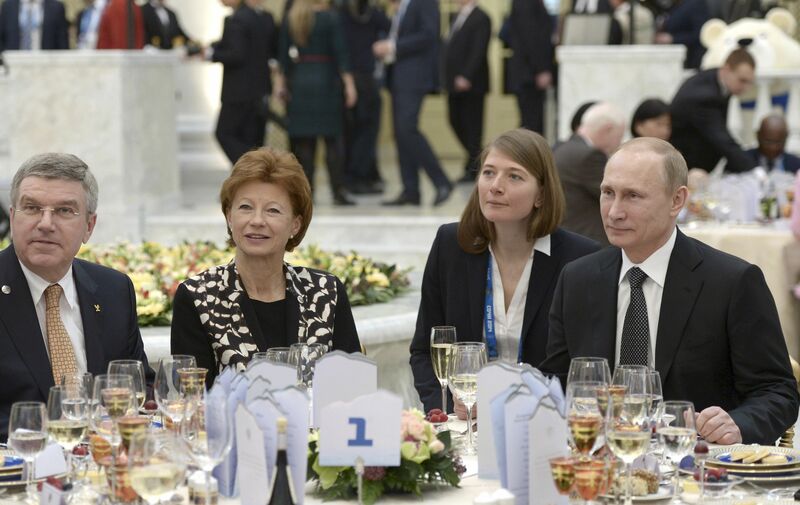 The state-of-the-art arena, one of several construction projects that have swelled the budget of the Winter Games to a record $50 billion, holds 40,000 people, and President Vladimir Putin was joined by more than 40 world leaders.